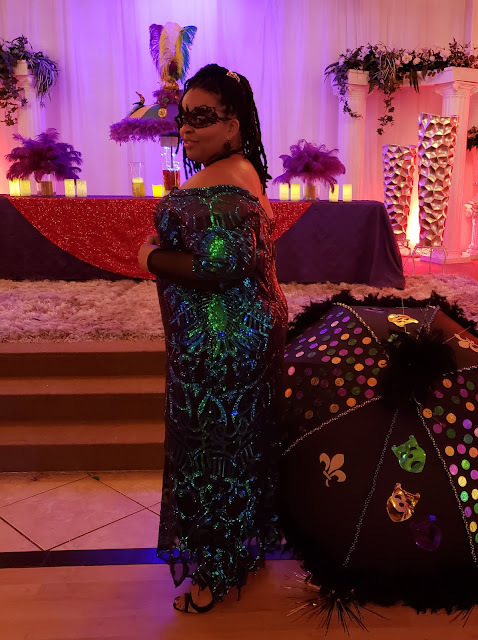 Fully Coutured: Mardi Gras 2019! Laissez Les Bon Temps Rouler! 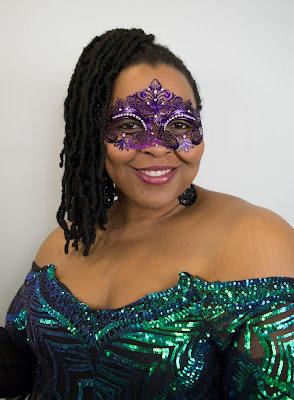 Mardi Gras 2019! Laissez Les Bon Temps Rouler! When people hear Mardi Gras, they automatically think of New Orleans. But New Orleans is not the home of Mardi Gras. Oh no, my friends. Mardi Gras originated in Mobile when it was the capital of the French Louisiana. Mardi Gras is a French Catholic tradition brought to America by colonists. Yea, this goes waaaaaaay back. The tradition then spread from Mobile to Biloxi, then to New Orleans, as the capital of Louisiana changed. 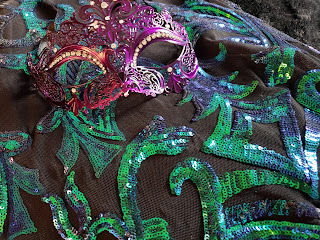 It has been YEARS, and I do mean YEARS since I've gone home during Mardi Gras season. As a child, I remember my mother and her friends being over the top glamorous for these events. Now that I'm an adult and all...I've been wanting to go to a ball. I want to get glammed up! I want to be over the top glamorous! 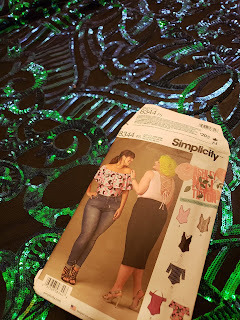 And I wanted to sew something with this sequins fabric right chea!! I found this stunning iridescent sequins fabric at an Etsy shop. 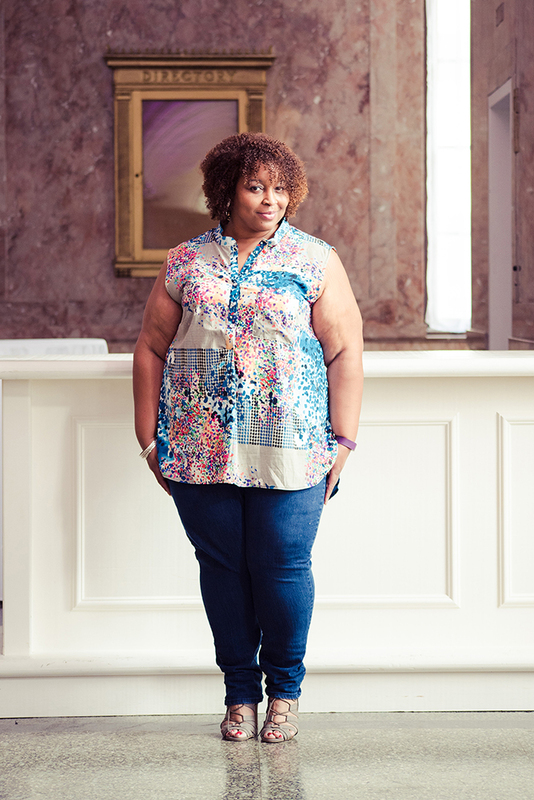 Because it stretched, I chose this Simplicity 8344 pattern to start off the design. I only wanted the off-the-shoulder look that the pattern provided. 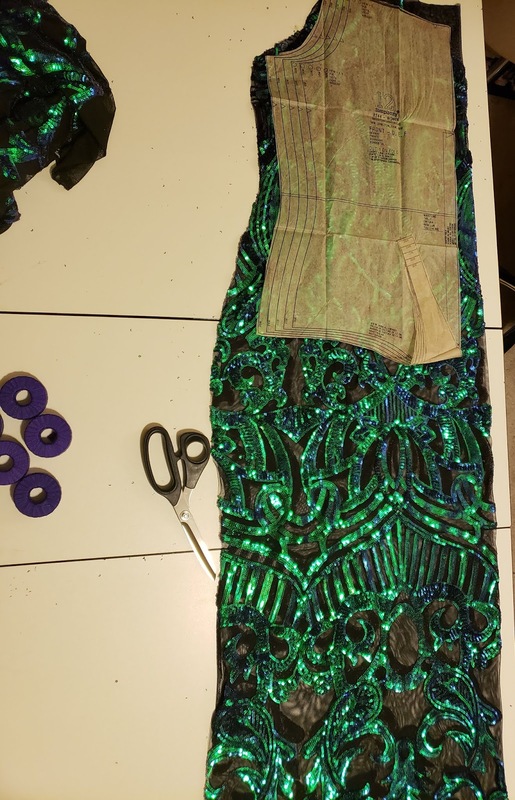 The rest of the design was a simple fitted dress that I free styled based on the desired length along with my waist and my hip measurements. 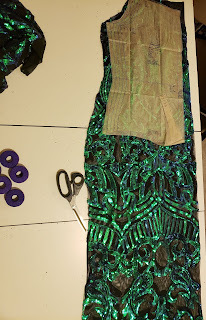 I lined the dress with a thicker spandex that felt amazing against the skin. 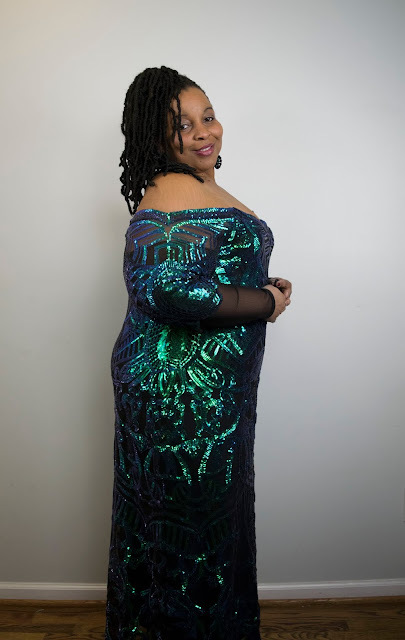 I felt that the whole sleeve of sequins was just too much for me since the dress was long. But a short sleeve took away from the look of the dress. 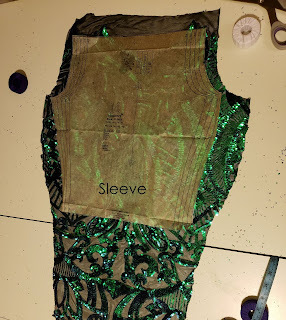 So I added black mesh and trimmed off part of the design of the sleeve by following the sequins pattern. If it was a short fitted dress, I probably would have rocked the long sleeves, though. And to make things even more over the top, I designed an umbrella. It was a bit too big...okay...waaay too big....but I ordered it at the last minute and it was too late to turn back. I had to commit and follow through! 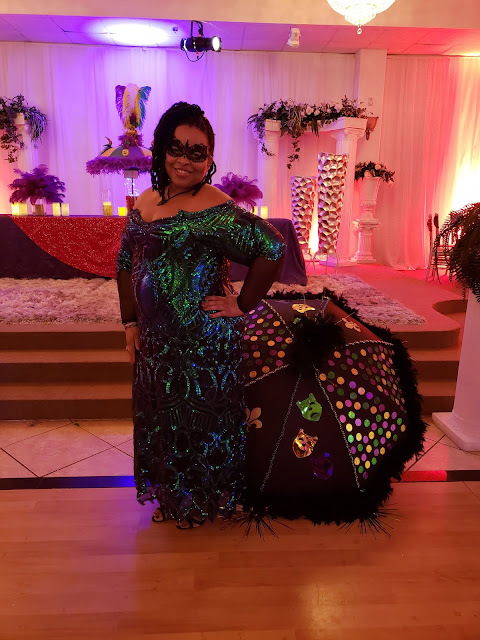 So with the help of Amazon Prime and a hot glue gun, I added on feather boas, beads, Mardi-Gras trinkets (coins), foil masks and a couple of glittered fleur de lis to my over-sized black umbrella. We all had a ball at the ball (see what I did there?). I secretly felt stunning in this number. I had several requests for this dress...either to make one for them, or sell the one I had on! Even with the amount of glam this dress provided, it was over the top comfortable. All night long type of comfortable. Way past my bed time of comfortable. I love taking fashion into my own hands. You look Fabulous and this dress is the one of a kind, that you will get many more wears from. Kudos!! Aw, thank you! I felt like a million bucks, AND it was sooo comfortable the entire night!